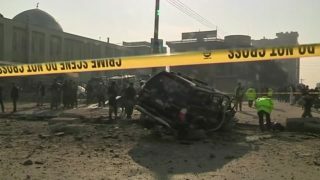 12 people have been killed in the Afghan capital as the wave of violence following a truck bomb continues. 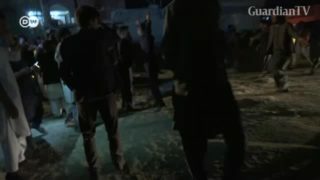 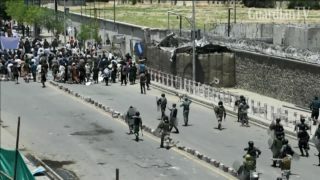 Streets in Kabul have been blocked and people have been advised by authorities not to attend protests. 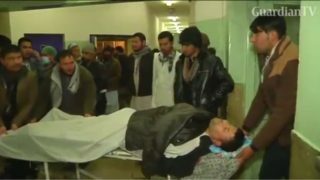 At least four Afghans are killed when police fire live rounds to disperse stone-throwing protesters seeking to march on the presidential palace to demand the government's resignation following a catastrophic truck bombing. 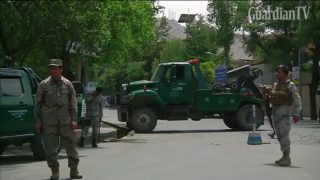 At least 80 people were killed and hundreds wounded Wednesday when a massive truck bomb ripped through Kabul's diplomatic quarter, bringing carnage to the streets of the Afghan capital just days into the Muslim holy fasting month of Ramadan. 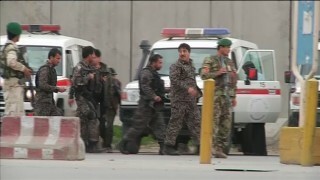 A suicide bombing near the U.S. embassy in Kabul on Wednesday (May 3) killed eight civilians and wounded at least 25, officials say. 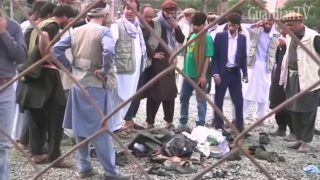 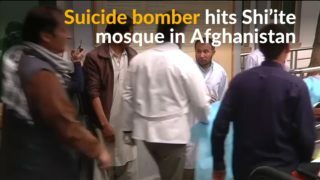 At least 27 people are dead after a suicide bomber detonated his explosives at a crowded Shi'ite mosque in the Afghan capital Kabul on Monday. 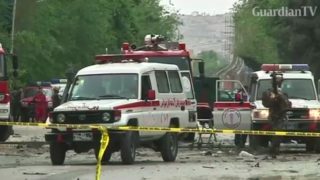 At least 28 were killed and more than 300 wounded after a Taliban suicide attack in Kabul. 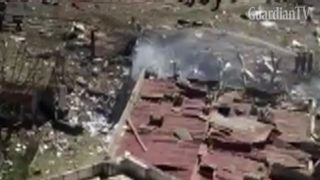 Julie Noce reports.